2017 was a remarkable year for Isagenix, there’s no doubt about that. From launching in the United Kingdom in the spring to riding that wave of momentum into Ireland and the Netherlands in the fall, we’ve established a firm foundation in Europe to set the stage for a record-breaking 2018. So, what’s next? Belgium and Spain, that’s what! We will be launching in Belgium first, with an anticipated launch date of April 23, and following that up by launching in Spain, with an anticipated launch in June. 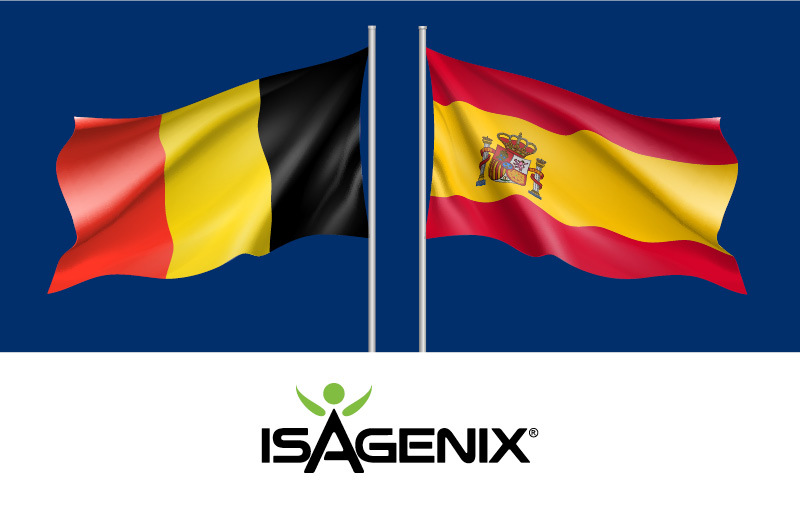 Like our other European markets, Belgium and Spain will both be managed from our European headquarters in London and feature the same great products and promotions, in addition to our Isagenix Team Compensation Plan. Check out the Leadership Packets for Belgium and Spain for complete launch details! As we approach the launch dates of both markets, now is the perfect time to begin reaching out to your friends or family members in these markets who may be interested in Isagenix. We only ask that you use appropriate messaging so as not to confuse or mislead those who may be interested. For a list of Do’s and Don’ts and for more inflation on how you can begin sharing this exciting news, please review the Leadership Packets for Belgium and Spain. You may also wish to join our Belgium and Spain Facebook launch groups, which we will routine update with all the latest information! Tickets are only €5 for Associates, and guests are free! We will have Dutch and French speakers on the team in Belgium, and Spanish speakers with us in Spain. For further information and ticket details please visit eu.isagenixevents.com.